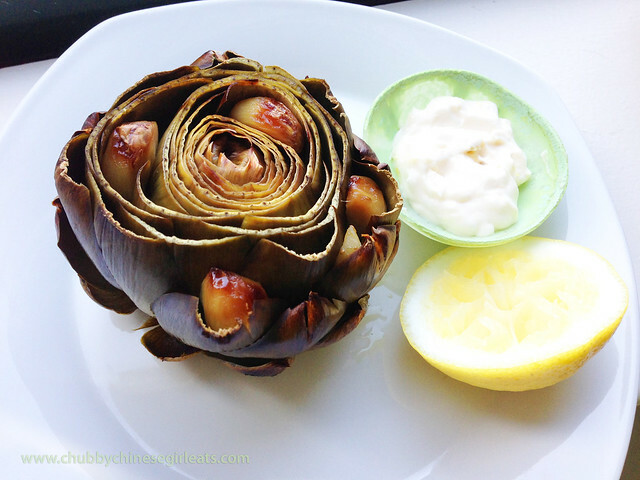 Last weekend, I partnered up with Whole Foods to make a home video of my favorite Roasted artichoke with lemon garlic aioli recipe. Super simple and satisfying. The challenge was to use one of their Madness Sale items and follow me from the Columbus Circle store to my kitchen. I chose the Chilean Extra Virgin Olive Oil. It’s always odd to see myself talk on camera and because I had to keep the video at 2 minutes, I had to edit a lot out (as you can tell, I need more practice). But it was a fun experience. I make these all the time because it’s so easy. Plus, the aroma of roasted garlic makes my apartment smell fantastic. A nice glass of white and I’m set! Thanks Whole Foods for opportunity and gift card. Check out other Madness Sale items on Whole Food’s Facebook Page. The video for @wholefoodsnyc is up!